Add a touch of elegance to everyday communication and entertainment with the new Skype Certified FREETALK Wireless Stereo Headset. The Skype has for some time provided the scope for talking for free. That was good enough. But, being able to talk for free sans the hassle of wires, while walking around freely (up to a range of 20 metres) sounds too good to be true. But true it is. The Skype Certified FREETALK Wireless Stereo Headset offers you that and more! This new class of wireless technology enabled by AvneraAudio promises clear and distinct CD quality audio. 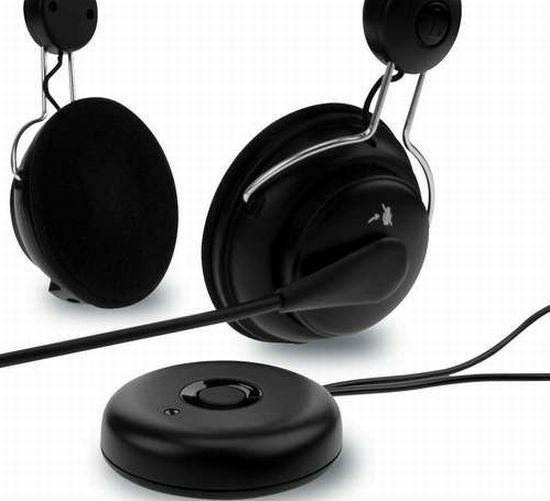 If you thought the Headset is only meant for talking, think again! It can also be used to listen to music and movie dialogues. This amazing gizmo is available exclusively at the online Skype shop for a limited period. At £49.99 , it is quite a deal, say what? They have thrown in a Skype voucher, good for up to two hours of free SkypeOut calls to landlines and mobiles. A digital alarm clock for movie buffs! ← 'Glowing Tambourine' lights up with each shake!